A report from HIQA details the care received by Savita Halappanavar at University Hospital Galway in October 2012. THE PATIENT SAFETY report by HIQA into the death of Savita Halappanavar states that there was a failure to recognise that she “was at risk of clinical deterioration” at University Hospital Galway (UHG). The report details the care received by Savita Halappanavar leading up to her death in October 2012 in UHG. The full report can be read here. The hospital has since apologised to Praveen Halappanavar and family for the care Savita received in October 2012. There were widespread vigils held around Ireland when the news of the expectant mother’s death broke late last year. The damning report concludes that there was “a failure in the provision of the most basic elements of patient care to Savita Halappanavar and also the failure to recognise and act upon signs of her clinical deterioration in a timely and appropriate manner”. It details a number of missed opportunities that were not identified but could potentially have changed the outcome of her care. It also states that blood tests were not followed up on and there was a failure to recognise that she was at risk of clinical deterioration. The report contains a number of recommendations and says that an urgent review of maternity services nationally is needed. The report identified a number of ‘missed opportunities’ which, if they had been identified and acted upon, “may have potentially changed the outcome of her care”. following the rupture of her membranes, four-hourly observations including temperature, heart rate, respiration and blood pressure did not appear to have been carried out at the required intervals. HIQA said that at the various stages when these observations were carried out, the consultant obstetrician, non-consultant hospital doctors (NCHDs) and midwives/nurses caring for the pregnant woman “did not appear to act in a timely way in response to the indications of her clinical deterioration”. It said that the consultant, NCHDs and midwifery staff “were responsible and accountable for ensuring that Savita Halappanavar received the right care at the right time” – but this “did not happen”. A chart that had been developed by UHG for the identification and management of a patient who was clinically deteriorating was not used in St Monica’s Ward in October 2012. HIQA found at the time of the investigation that there was no formal clinical escalation protocol and no emergency response team in place at the UHG. It said that though UHG had a guideline in place for the management of suspected sepsis and sepsis in obstetric care, the clinical governance arrangements were “not robust enough to ensure adherence to this guideline”. The care pathway for patients who required access during core hours to maternity services “was not always timely or appropriate”. There was no formal clinical pathway in place to refer high risk obstetric patients to an antenatal high risk service operated by an obstetric anaesthetist at the time of the investigation. The care pathway for patients who required emergency access to maternity services outside of core hours “was not always appropriate and effective”. When it came to patient healthcare records, there was evidence of a number of retrospective entries of information in the case of Savita Halappanavar. Notes were found to have been entered two weeks following her death. UHG did not have a hospital-wide guideline in place for the management of sepsis in adult patients and there was no consistent definition of sepsis, severe sepsis and septic shock in use across UHG. This investigation found “concerning deficits” in how learning, particularly in the areas of maternity services and clinically deteriorating patients, has been adopted and implemented following previous investigations and inquiries. It says these include “an inability to apply system–wide learning from adverse findings in one part of the system to minimise clinical risk for all patients”. HIQA notes that the sequence of events that led to the death of Savita Halappanavar will constitute a difficult read for her husband Praveen Halappanavar, his wider family, the public and healthcare staff across the country. What is critically important is that we must learn from this tragic event and ensure that the findings, learning and recommendations of this investigation, and of the HSE inquiry, are effectively implemented across the health service. HIQA notes that this investigation shows that where responsibility for implementation of learning is not clearly owned, then learning nationally does not happen. This is demonstrated in the enquiry into the death of Tania McCabe and her son Zach in 2007, “the circumstances of which have a disturbing resemblance to the case of Savita Halappanavar”, said the report. As a result of the findings of the investigation, HIQA has made a series of recommendations. These don’t just focus on UHG, but all other maternity hospitals in Ireland. the need to review and improve maternity services in respect of the management of sepsis, clinically deteriorating pregnant women, patient choice, models of care and providing a suitably skilled and competent workforce that can deliver safe and effective care at any given time. It recommends an urgent review of maternity services, which should take account of the outcomes of this investigation and the other investigative processes initiated as a result of Savita Halappanavar’s death. The review should inform the development and implementation of a National Maternity Services Strategy, said HIQA. The chairman of UHG apologised to Praveen Halappanavar in June of this year over his wife’s death. An earlier HSE review found in June of this year that inadequate care and monitoring were factors in Savita Halappanavar’s death. 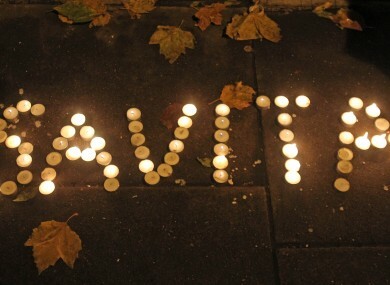 Email “Damning Savita report details litany of hospital care failures”. Feedback on “Damning Savita report details litany of hospital care failures”.